Adie Ledford "Duke" Fuson Jr. Provide comfort for the family of Adie Fuson with a meaningful gesture of sympathy. Adie Ledford “Duke” Fuson Jr., age 59 a resident of Hwy 92 passed away Wednesday April 10, 2019. He was born in Pineville on February 22, 1960 to Sylvia Rhodes Fuson and the late Adie Ledford Fuson. He is survived by his brother Carlos Fuson and sister Carlyn Fuson; cousins that were like brothers and sisters, Randall (Vivian) Vesper and Charlene Fuson. Funeral services will be 3PM Sunday April 14, 2019 at Brooks-Durham Funeral Home with Rev. Mike Brooks; burial will follow in the Fox Cemetery, Hwy 92. The family will receive friends after 1PM at Brooks-Durham Funeral Home on Sunday April 14, 2019 until the funeral hour at 3PM. The Brooks-Durham Funeral Home is honored to serve the Fuson family. 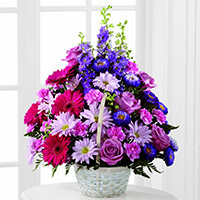 To send flowers in memory of Adie Ledford "Duke" Fuson Jr., please visit our Heartfelt Sympathies Store. We encourage you to share your most beloved memories of Adie here, so that the family and other loved ones can always see it. You can upload cherished photographs, or share your favorite stories, and can even comment on those shared by others. 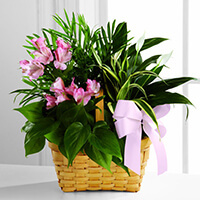 Charlyon, Deana, Brenda, Wayne, Drex, and Debbie and Ardith Helton have sent flowers to the family of Adie Ledford "Duke" Fuson Jr..
Charlyon, Deana, Brenda, Wayne, Drex, and Debbie purchased the The FTD Pastel Peace Basket for the family of Adie Fuson. Ardith Helton purchased the The FTD Living Spirit Dishgarden for the family of Adie Fuson.